MSI announced a partnership with SteelSeries, the latter company designed the keyboard layout of MSI's GT780 and GX780 laptops. MSI notebook along with SteelSeries, the leading manufacturer of premium quality gaming peripherals, announced a strategic partnership focused on the growth of mobile gaming. The partnership kicks off with the release of MSI's newest gaming laptops, the GT780 and GX780 notebooks, which both feature a SteelSeries designed keyboard layout, fully backlit and optimized to meet the wants and needs for mobile PC gamers. • Improved key placement on the left side of the keyboard providing easy access and control of the "Golden Triangle' WASD cluster and enlarged CTRL and ALT keys. The elimination of the Windows Key on the left side (while keeping the Windows Key on the right side). Backlit illumination in 3-zones with various light modes and 7 color options. "Over the past decade, we've been developing peripherals that provide gamers with more than just superior performance and comfort, but also the ability to travel conveniently and allow them to be mobile with their gear. Because we develop products with professional gamers who are constantly traveling around the globe to tournaments or even to the next town to play casually, we understand that it's critical to establish signature features like a retractable microphone system and the ability to store and program settings directly on the hardware of a mouse, for instance," said Kim Rom, CMO for SteelSeries. 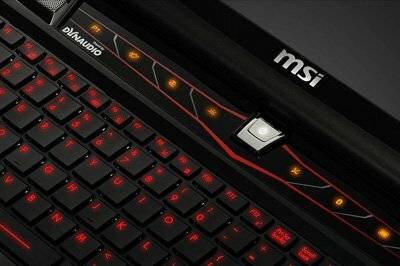 "When we were approached by the MSI team to co-design keyboards for their new gaming notebook line, we were ready to apply our knowledge and excited to see a computer hardware company moving their focus from just specifications to gaming specific functionality." "SteelSeries is one of those companies that when it's time to partner up and talk innovation for gamers, you look to them. When it comes to mobile gaming, we looked to align ourselves with industry leaders who brought small, but innovative designs features to their products, said Marc Chen, Product Manager for Laptops at MicroStar International. "We're looking forward to bringing gamers this level of simple innovation in collaboration with SteelSeries as we rollout the GT780 and GX780 notebooks and we are excited to continue working with the SteelSeries team on upcoming projects and products."